Are you worried about music staying in our schools and communities when arts budgets are slashed every year? We at The ASCAP Foundation are, and we're doing something about it. The ASCAP Foundation is a public charity dedicated to nurturing the creation of music and the positive benefits that go along with it. We pick up where school budgets leave off. We proudly operate and support over 160 programs nationwide including: Public School Music Education Initiatives, Summer Music Camps, Music Therapy and Community Outreach, Songwriter/Composer/Lyricist Workshops, Music Scholarships and Music Awards. Music is a healthy creative outlet to enjoy at all ages. 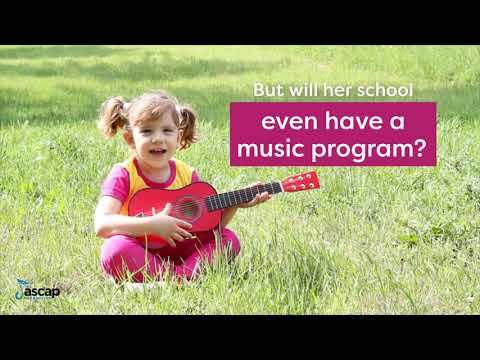 Music instruction and education is even known to improve a child’s self-esteem, communication skills, math abilities and help close the academic gap between rich & economically poor students. This holiday season, won't you please join us in ensuring that music stays in the lives of our children and our communities nationwide by making a donation today?